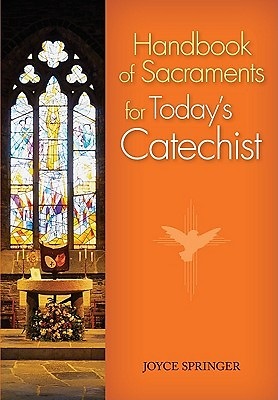 Teaching about the Sacraments breaks out of its traditional mold with Handbook of Sacraments for Today's Catechist. This quick-reference guide for today's catechist includes activities as well as instruction, and fills the need for an energetic, complete, and easy-to-understand exploration of the Sacraments. As a supplement to the best-selling Handbook for Today's Catechist, this important resource provides reference material for all seven Sacraments. It covers material that is useful for different age levels and sections just for the catechists who are preparing children for Penance, Eucharist, or Confirmation. Beyond teaching the theology of the Sacraments, there are sections that discuss how to teach children at various ages, with various backgrounds in religious instruction-both formal education and in the home-and offers a variety of activities allowing catechists to pick the one that works for their particular class. There are many stories that provide a way for the catechist to introduce topics, giving children something to relate to in order to learn theological concepts. There are also ways to reach out to families to continue the learning process at home. This energetic, complete, and lively exploration of the Sacraments is one that teachers, volunteers, and parents will enjoy using. "Joyce Springer is no run-of-the-mill Sunday catechetical teacher. Her religious education classes abound with aromas, tastes, colors, movement and high-octane participation...."